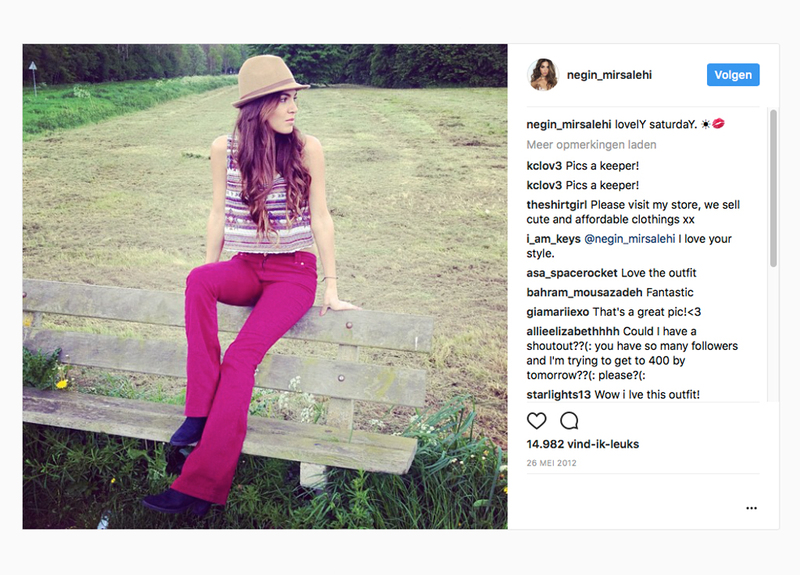 I thought it would be a good idea to talk first about the most common form of Instagram content: the selfie. Many articles have stated that nothing good can come of this self-obsessed, narcissistic behavior. But since this is the first generation that is confronted by such an open podium and outlet, we are not sure what will happen to these Instagrammers. So let’s keep an open mind and see what is currently out there. 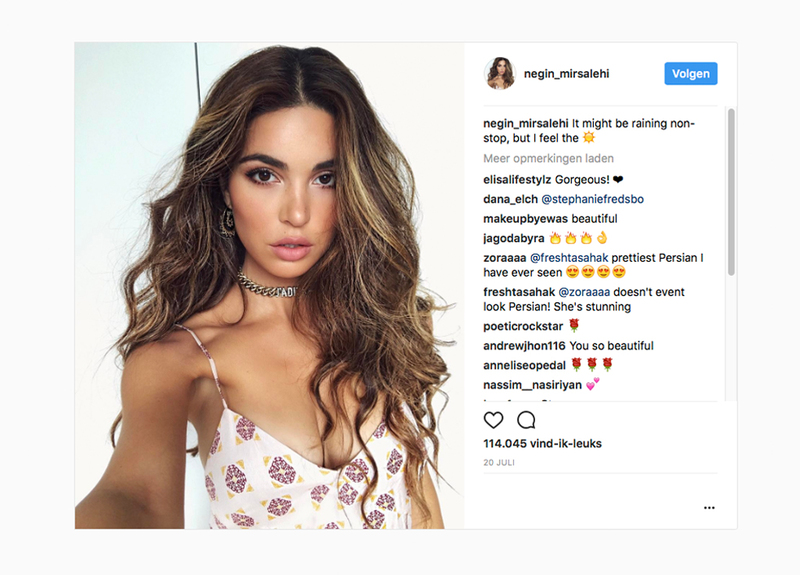 Let’s start with 28-year old Negin Mirsalehi, who has one of the most successful personal Instagram accounts from the Netherlands. She travels all over the world, from Dubai to the Hamptons, and takes her viewers on a journey of luxury. Currently 4.1 million people follow her. Probably because she is a beautiful woman and at the same time a different kind of role model, and maybe because she has something interesting to say. When interviewed, Mirsalehi refers to herself as a brand – not a blogger or an influencer but a brand. 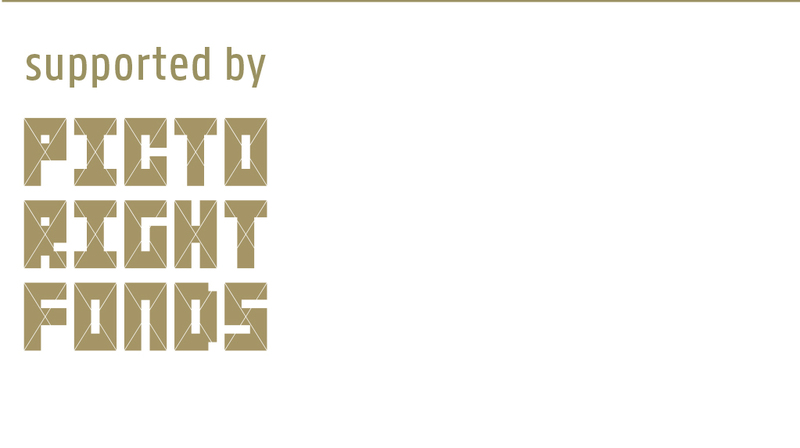 Which means that everything she shows is carefully curated, edited and produced by her and her team. She aims to be a high-end brand like Chanel and Dior and therefore she strives for content with the highest quality possible. 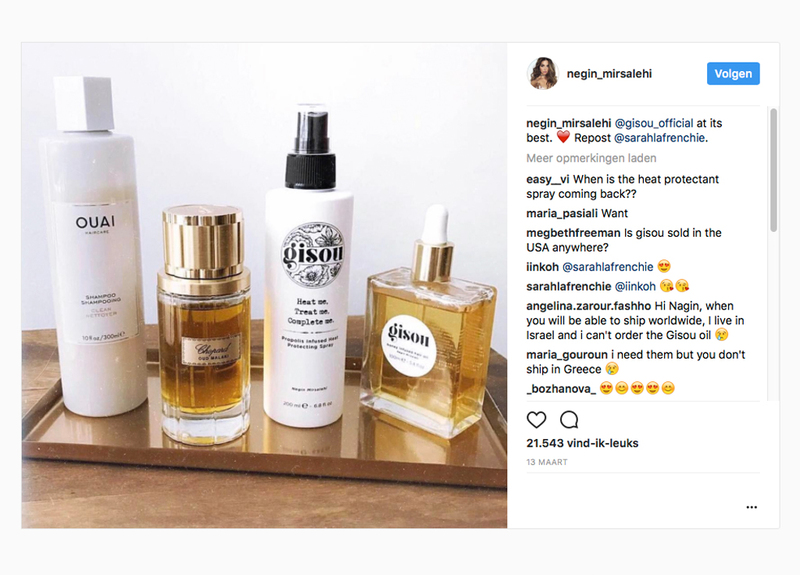 This way she has been able to go beyond promoting other brands and produce her own line of clothing, accessories and beauty products. 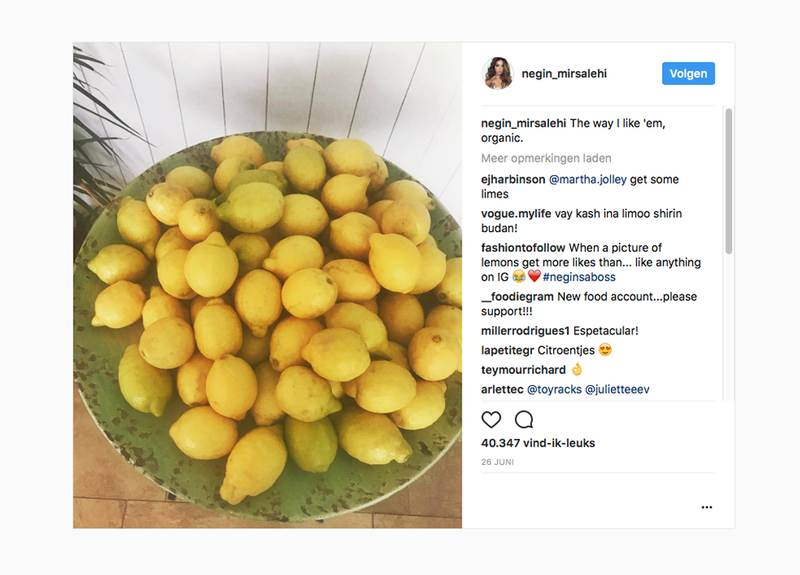 Now, many or even most Instagram accounts try to emulate what Negin has perfected, like her predecessor Kim Kardashian has done. And by circumventing the traditional media outlets, she is now becoming her own little media outlet. When looking at her photography, though, we don’t see any surprises. It’s almost the exact same photo over and over again. The only things that change are the clothing, the accessories and the backdrop – sometimes a boat, sometimes a hotelroom, sometimes a restaurant. 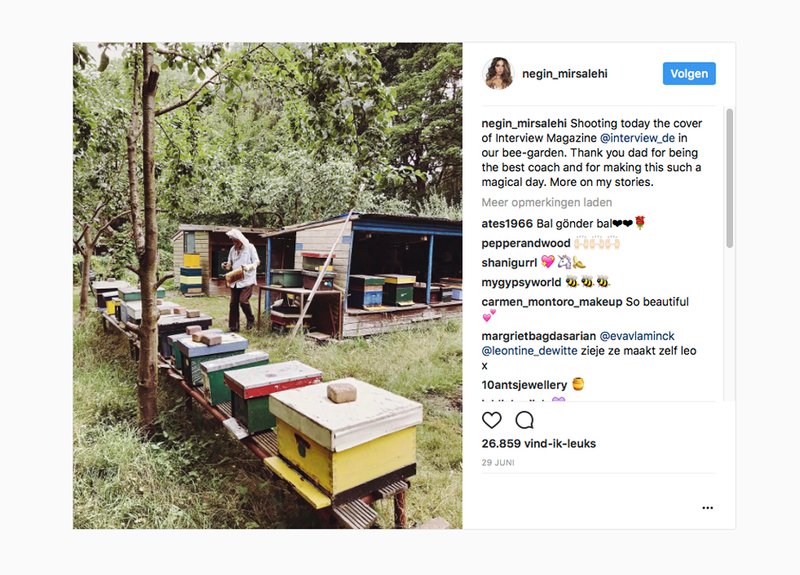 When I spoke with some Instagrammers, they complained about the fact that their success prevented them from trying something different. One Instagrammer mentioned he was sick and tired of making the same image over and over again. And when he tried something else, he would get a backlash from the community who didn’t like his newly posted work. 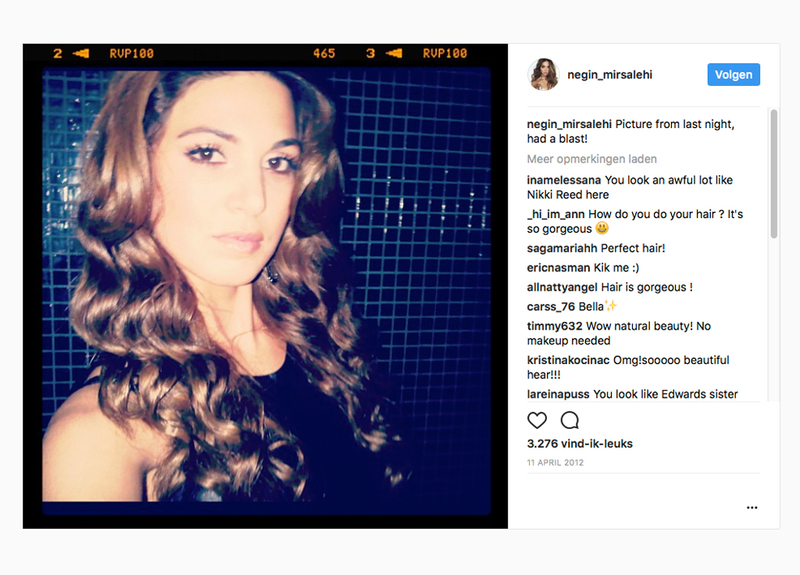 Thinking back on his comments, I wonder how much freedom of expression someone like Negin Mirsalehi has. Does she still allow herself to be someone else besides the image she created for herself? And when comes the point where she can put some distance between her personal life and the brand she created?